New York, NY-October 5, 2016-Hudson River Community Sailing (HRCS), a leading charitable organization that develops leadership and academic success for underserved New York City youth through sailing education, and provides maritime education and recreation to the community at large, will host its largest annual fundraising event, Sailing for Scholars, on October 13-15 in New York. All proceeds from Sailing for Scholars directly support HRCS’s Youth Development programs, including Sail Academy, a four-year program that uses sailing and boat-building to teach math, science, and leadership to high school students. Concepts are taught on land and water using small-group, experiential learning. HRCS currently partners with nine New York City high schools to offer academic credit in math and science to students enrolled in Sail Academy. The academic curriculum is designed with New York City Department of Education teachers to support state standards. The organization has improved the lives of hundreds of students since its founding in 2007. The HRCS youth development programs also include internships, where students learn every aspect of running a commercial sailing school, preparing them with important job skills and career awareness. >> Thursday, October 13-Gala and Silent Auction-HRCS will host a gala at the New York Yacht Club's legendary Model Room from 6:00pm-8:30pm. Hors d’oeuvres and cocktails will be provided. Tickets can be purchased here. >> Friday, October 14-Coaching and Practicing-HRCS will provide coaching and practice sessions from 9:30am-12:30pm and from 1:30pm-4:00pm at Dyckman Marina for all teams competing in the regatta. >> Saturday, October 15-Regatta-The race will take place at Dyckman Marina at 1:30pm. Those not racing can purchase tickets here to watch the regatta aboard Classic Harbor Lines’ elegant yacht, Manhattan. Join the spectator boat for appetizers, beer, wine, hors d’oeuvres, and the best views of the regatta and the Palisades. "Each year, we leverage our passion for sailing and Manhattan’s access to the water to make a difference in the lives of underserved New York students," - said HRCS Executive Director Robert Burke. "Our annual Sailing for Scholars fundraiser helps us support our mission to help young people succeed in school, at work, and beyond, and we couldn’t be more appreciative of our tremendous sponsors for making this event a reality for the seventh year in a row." The 2016 Sailing for Scholars Gala and Regatta is presented by Wireless Butler, a free app that makes wireless easier and helps its users save money. The company behind Wireless Butler, Validas, has created a paid internship program for graduates from the HRCS Sail Academy. Todd Dunphy, Co-Founder and President of Validas, embraces the HRCS mission, and finds a natural connection between education, community outreach, and smart savings. The teams registered to compete in the regatta include: The Grey Lady; Holwell Shuster & Goldberg LLP; George Comfort & Sons; Israel Purdy; and an HRCS student team, among others. The full list of teams, with options to donate to each, is available here. Since its founding in 2007, HRCS has experienced substantial growth and success. Just this February, HRCS was named US Sailing’s 2016 Outstanding Community Sailing Center. This honor is awarded annually to one program that has made notable contributions to promote public access sailing, and HRCS was selected for its noticeable growth in membership, programming offerings, community involvement, and overall dedication to the sport. And in August 2015, HRCS opened its second Manhattan location, in Inwood, New York, bringing the organization’s mission to provide high-quality sailing, marine education, and youth development to communities in northern Manhattan and the Bronx. To support HRCS or learn more about this year’s Sailing for Scholars fundraiser, please contact info@hudsonsailing.org. Hudson River Community Sailing is a New York-based charitable organization that uses sailing as a vehicle to enrich the lives of underserved New York City students-imparting academic and leadership skills vital to the craft-and to share the joy of sailing with the community at large. HRCS is one of only 26 U.S. 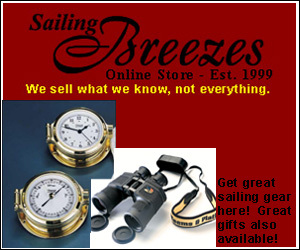 Sailing Accredited Community Sailing Centers, and the only one in New York City.